Afterward, fans chased him as he ran to his car from a Chargrill Charlie's restaurant. In a video, Bieber can be heard telling the crowd, "The more you guys scream and act like animals, the less we can have a conversation." 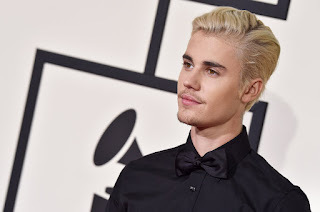 Last May, Bieber wrote on Instagram, “It has gotten to the point that people won't even say hi to me or recognize me as a human, I feel like a zoo animal, and I wanna be able to keep my sanity."